﻿ peace > Concert Information > Peace & Harmony Concert Vincerò! Getting much attention of cosmopolitans, the XXIII Olympic Winter Games kicked off on Feb. 9th in Pyeongchang, Gangwon Province, South Korea. Athletes from all over the world have started vying for over 100 gold medals in 102 events in 15 different sport disciplines. Korean-Americans all over the world have pulled together to make this gigantic sports festival an opportunity where the world becomes one under peace and harmony. 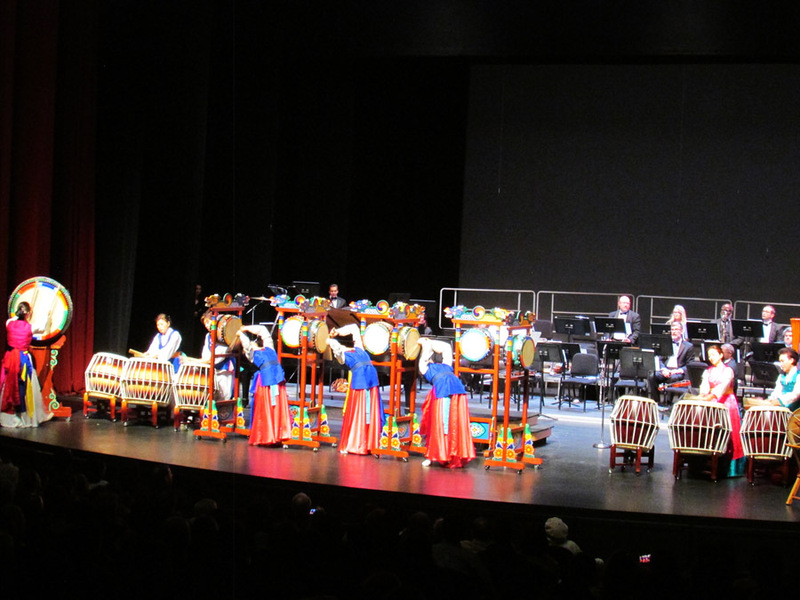 The Korean community in Atlanta also rode the wave of peace for the success of the Pyeong Chang 2018 Winter Olympics as The National Unification Advisory Council hosted Peace & Harmony Concert on the first Saturday of February at the Infinite Energy Theater in Duluth. The 780 seats were all occupied by the local leading figures invited and the attendees were pumped up about what the concert would exhibit. Their expectations hit the mark. 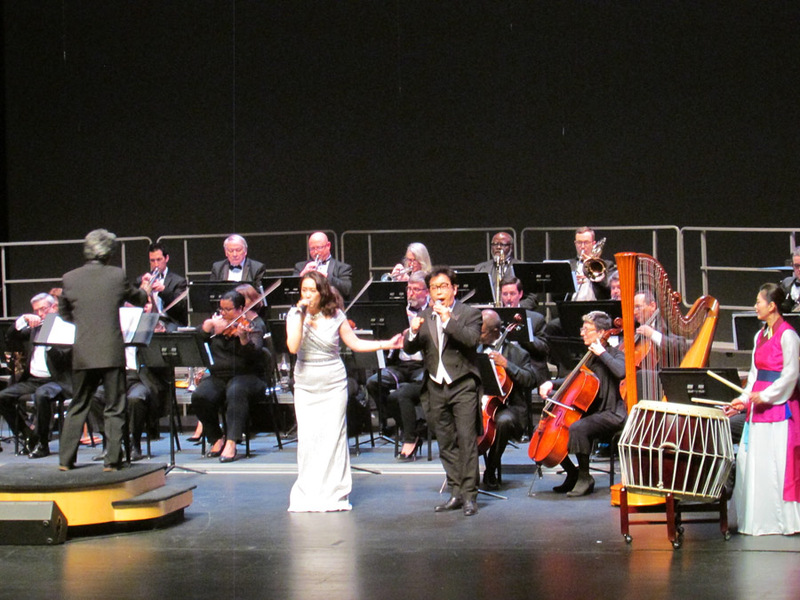 The audience fell for the fantastic music performance conducted by Min Park of the Atlanta Philharmonic Orchestra. The Korean Anthem and American Anthem (The Star Spangled Banner) were played in resounding sound by the Orchestra with the bilateral national flags projected on the big screen. 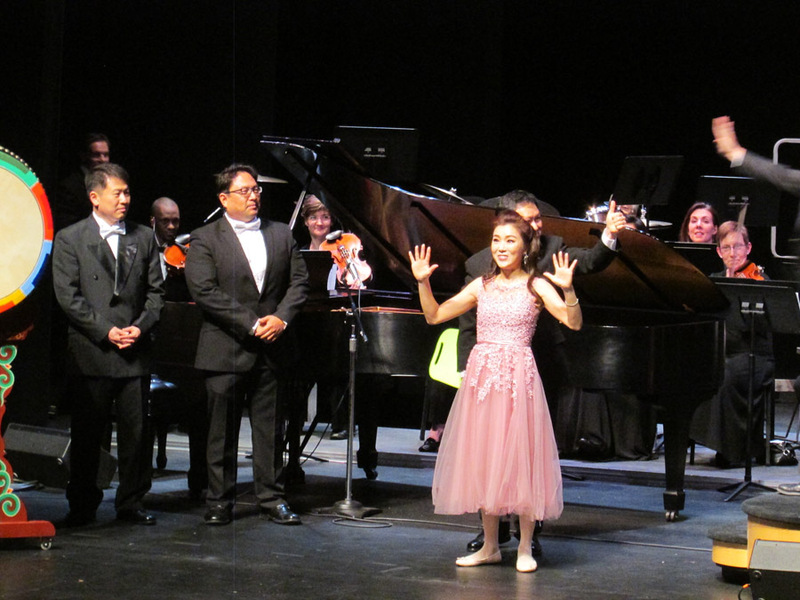 What enthralled the audience the most was Elvis Presley’s, “I Can’t Help Falling in Love With You,” sung by Tenor Pedro Carreras, The Doll Aria-Les Oiseaux Dans lan Charmille from Contes D’Hoffmann, performed by Soprano Hyunjee Yoon, a Korean Traditional Dance, Rhapsody in Blue played by Pianist Gary Menzies, and Nessun Dorma from Turandot sung by the duo of Tenor Chae Hyuk & Pedro Carreras. In particular, the final word of Nessun Dorma’s lyrics, Vincerò, which means “triumph is mine,” in Italian, sounded like signaling the victory and glory that the PyeongChang Olympics would bring about. 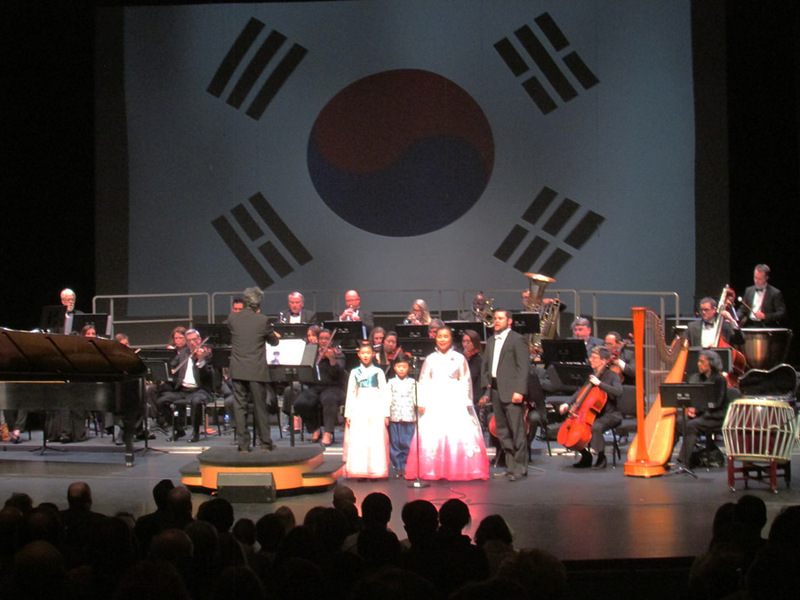 When Korean Fantasy was played as a finale with all performers being present on the stage, the attendees in the concert hall were all in the mood for a melody regardless of race, age, color of skin, nationality, or social level. It was peace and harmony verbatim like the title of the concert. All of them wished for the success of the PyeongChang 2018 Winter Olympics as one. The parties concerned, including Korean officials, also extended their warmest regards to the attendees. “I hope each of you who are joining this event tonight will fully enjoy the fantastic music performance conducted by Min Park of the Atlanta Philharmonic Orchestra,” said Young-jun Kim, Consul General of the Republic of Korea in Atlanta at the opening remarks. “Moreover, I believe your sincere support for a successful and peaceful Olympic Winter Games will be delivered to PyeongChang, Korea." Meanwhile, the state of Georgia adopted and passed the Resolution of the 2018 Pyeongchang Winter Olympics in an all-party support at the state Capitol last month. Korean officials and the Korean community showed gratitude to all of the State Senate and State House of Representatives on the spot. Governor Nathan Deal also proclaimed the state of Georgia congratulates the Republic of Korea on hosting the 2018 Winter Olympics and Paralympic Games. The Korean Anthem is being played by the Atlanta Philharmonic Orchestra conducted by Min Park. The National Unification Advisory Council hosted Peace & Harmony Concert on the first Saturday of February at the Infinite Energy Theater in Duluth. The Doll Aria-Les Oiseaux Dans lan Charmille from Contes D’Hoffmann, which was performed by Soprano Hyunjee Yoon. A Korean traditional dance performance.